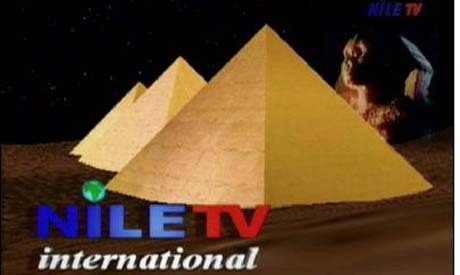 After nine years of regular broadcast, Egypt aborted the two-hour daily Hebrew broadcast, aired on the Nile TV International Channel. The head of Egypt News section, Abdel Latif El-Manawi found that the programme did not reach Israeli civil society and was only being watched by Israeli security, according to local media. The cancellation was welcomed because the broadcast had apparently failed to serve its political role. "This is a perfect decision because the broadcast was doing a very poor job, it was damaging our image rather making a good one," Emad Gad, researcher of Israeli affairs at the Ahram Strategic Center, told Ahram Online. The audience of the Hebrew broadcast agrees that it was not doing its desired job. The decision to start the broadcast in the first place was not based on any strategic studies. It was monitored by the Egyptian Television staff, lacked political experts, and had a very poor set. "The anchors used to read the Hebrew newspapers on the air, which is ridiculous because the Israelis do not need that," Mansour Abdel Wahab, researcher of Hebrew studies and the Arab-Israeli conflict and former Hebrew broadcast worker, told Ahram Online. In addition to the aforementioned flaws, the broadcast lacked "media agenda," and the messages sent on air were "harmful." For example, the anchors used to label Ariel Sharon, ex-Israeli prime minster, as a "terrorist," and used to refer to Israel as the "Zionist country." "(This) was humiliating to the Israeli citizen," Gad said. Nevertheless, the head of Egypt News sections cited technical reasons for the service’s cancelation. According to him, the Hebrew broadcast was available through satellite and required routers to be accessed, but the Israeli government bans the citizens from having routers. Accordingly, the Hebrew broadcast did not reach its target. Meanwhile, media experts say that closing channels is never a good decision. "If nobody watches the broadcast, the solution is to figure out a way to make people watch it," Rasha Abdullah, head of the mass communications department at the American University in Cairo (AUC) told Ahram Online. In place of the TV broadcast, an online website, "Kol Kahir" (Here is Cairo), was created, offering the same material, according to el-Manawi. "The website is monitored by the people with the same old mindset with the TV broadcast and I expect its failure as well," Abdel Wahab told Ahram Online. Moreover, replacing a channel with a website would do no good. "If people were not watching the channel, they will not be adding the website to their favorites accordingly," Abdullah said. The Egyptian Hebrew broadcast used to offer news service in addition to some analytical programs and documentaries. "It was a media tool to show Israelis the Egyptian perspective of the news," Amr Hashim, a writer and researcher at the Ahram Strategic Center, told Ahram Online.